2010-2011 shirts are sold out. 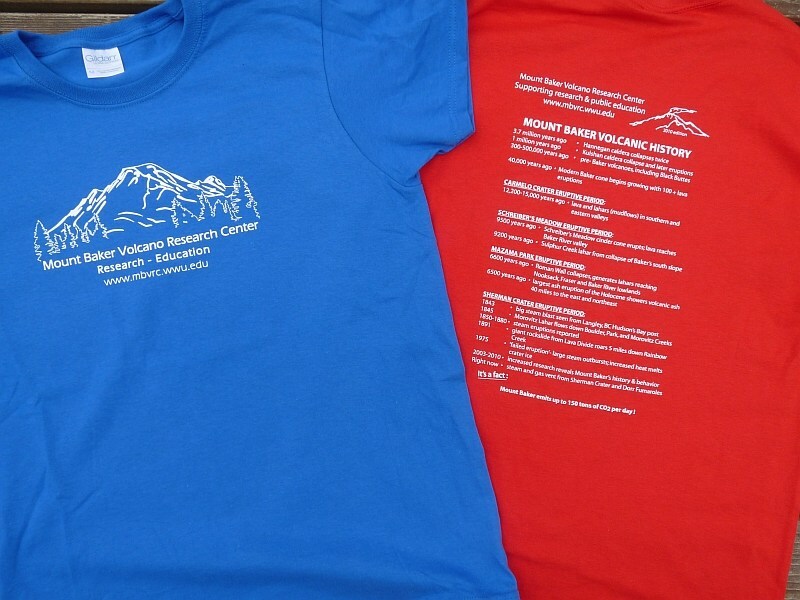 The new-design MBVRC T-shirts will be available in Spring, 2012. Subscribe to the MBVRC blog to get the word! 2010 Fundraiser T-shirt photo contest finalists and winner! Thanks to all who submitted entries to the first annual MBVRC photo contest. The unimpeachable panel of judges made their tough decision. 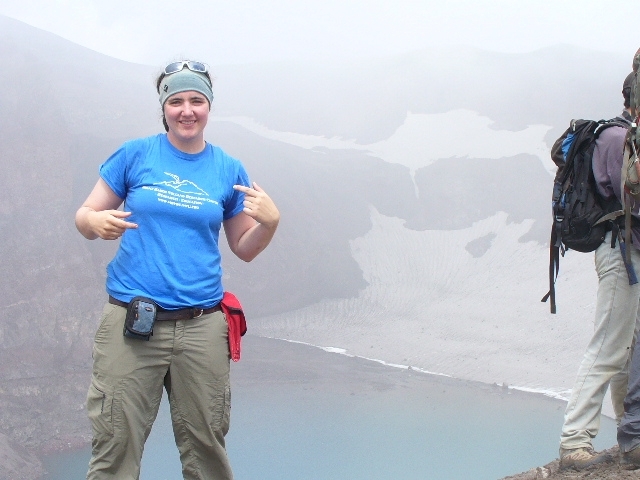 Runner up entries for the 2010 contest showed MBVRC T-shirt wearers at Gorely and Mutnovsky volcanoes in Kamchatka, Tupungato in Chile, and Yellowstone (Wyoming) all sent by the globetrotting Sarah Polster of Bellingham/Denver. Sarah certainly deserves a hand for doggedness and mileage. 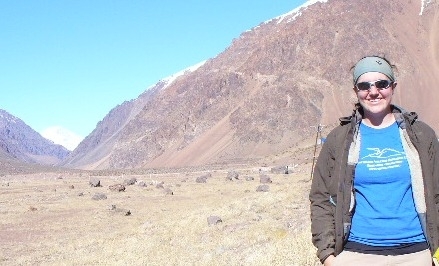 Jeff Tepper of Tacoma, Washington sent us his photo taken at Antesana in Chile. Nice hat, Jeff! 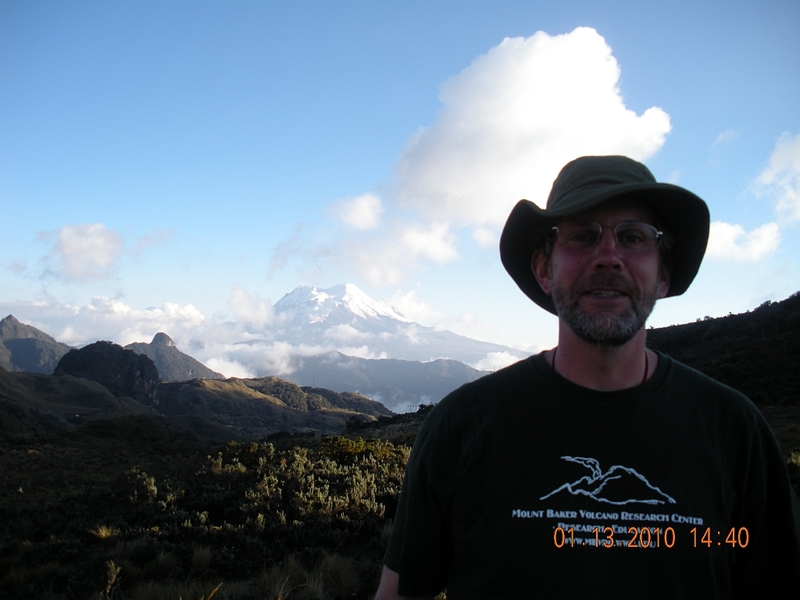 The winner is…….. (drum roll)….. Nathan Vekved, from Orcas Island in the San Juan archipelago of Washington. It was pretty hard to resist a cute kid who is smitten with volcanoes and who builds erupting volcano models! 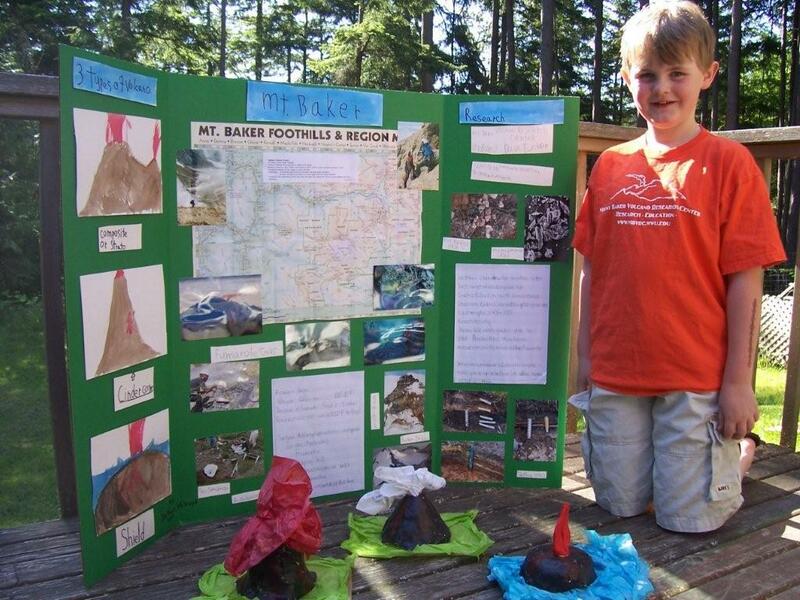 Nathan’s photo with his school science project poster about Mount Baker is posted on the home page of the MBVRC website: www.mbvrc.wwu.edu and he has earned free 2010 edition T-shirts for his first prize photo. Thanks to all our entrants. We’ll repeat this next year. 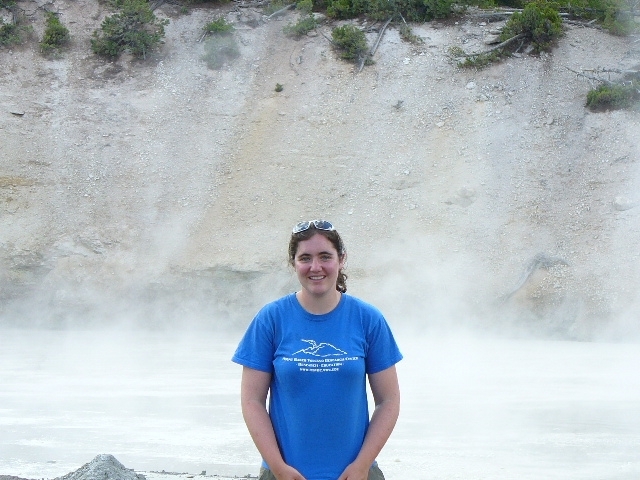 Send us a photo of you wearing the new 2010 MBVRC fund raiser T-shirt, available later this spring, at the volcano of your choice somewhere in the world. Nathan Vekved, Orcas Island, and his science poster about Mount Baker. Nathan and his mom Michel came to WWU to talk with Dave Tucker and Jackie Caplan-Auerbach about volcanoes and volcano research. He thought it was pretty cool to stomp on the floor in Jackie’s office and watch the readout from her portable broad-band seismometer register on the computer screen. 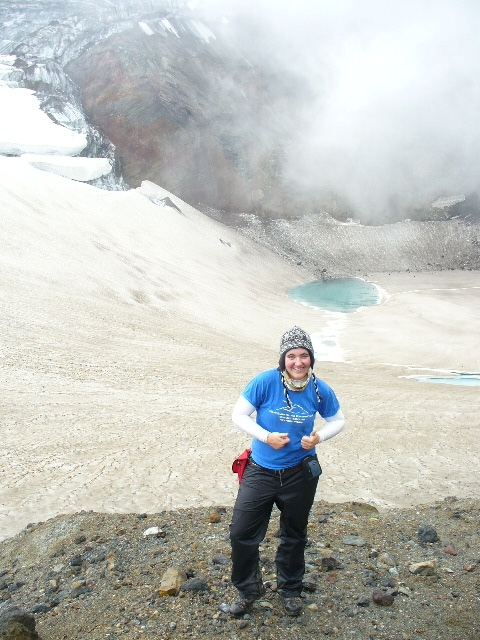 Sarah Polster submitted the photos from Gorely and Mutnovsky calderas, Kamchatka, as well as Yellowstone and Tupungato. That’s Jeff Tepper with Antesana in the distance.